By Alfred J. Church. A masterful retelling in modern English of thirteen of the best-known classical Greek tragedies from the genre’s most famous authors, Euripides, Aeschylus, and Sophocles. From the inspiring love story of Alcestis to the fiery vengeance of Medea, from the trials of Hercules to the death of Agamemnon, the vengeance of Electra to the Battle of Salamis, this book provides all the content and flavor of the original works in an accessible format for the contemporary reader. 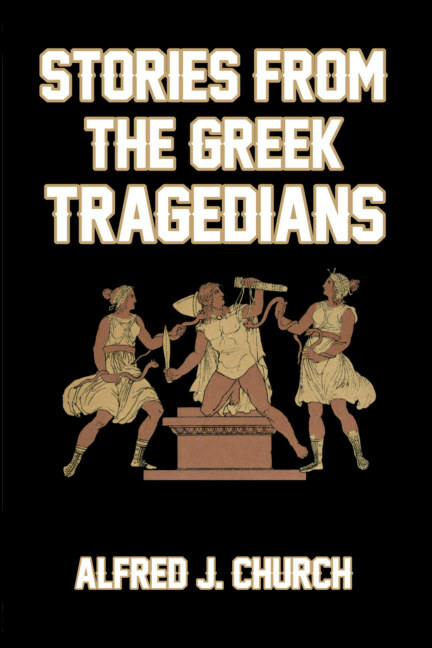 Greek tragedy is one of the oldest forms of theater in the world, and its stories are so timeless that many of its themes provided inspiration for Shakespeare. It reached its height in fifth century Athens, drawn upon myths from the oral traditions of archaic epics. Aeschylus (c. 525–456 BC) established the basic rules of tragic drama and is credited with inventing the trilogy, a series of three tragedies that tell one long story. Sophocles (c. 497–406 BC) was the first to introduce large numbers of actors onto the stage and he created the series-of-scenes format which the present-day theater still uses. Euripides (c. 480–406 BC) introduced the plot formats which have shaped theater to the present-day, particularly in the presentation of heroes as ordinary people in extraordinary circumstances. A vital work which will help round off any classical European education. About the author: Alfred John Church (1829–1912) was an English classical scholar and teacher, who worked as professor of Latin at University College, London. His notable works include the translation of Tacitus, Pliny, and much of his own original Latin and English verse. Or buy on Amazon here. © Copyright 2019 Sandycroft Publishing.